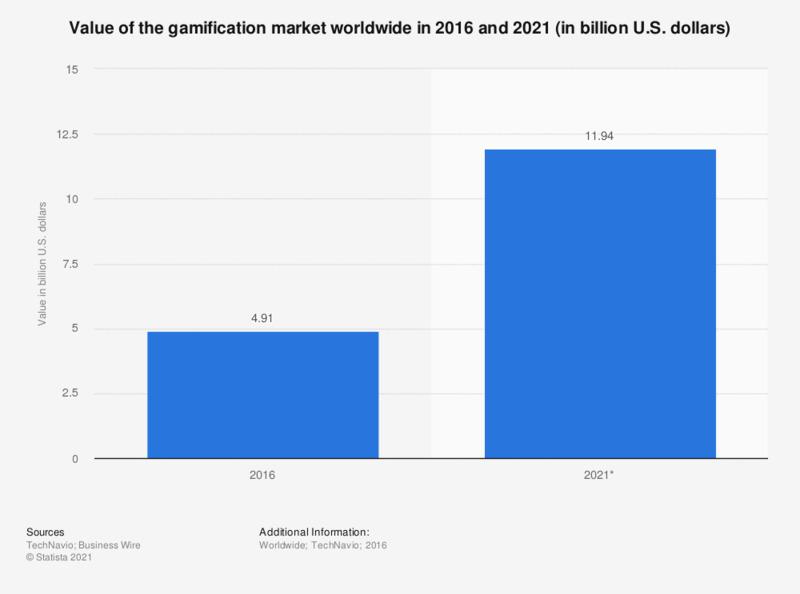 This timeline presents information on the value of the gamification market worldwide in 2016 and 2021. According to the calculations, the gamification market is expected to grow from 4.91 billion U.S. dollars in 2016 to nearly 12 billion in 2021. How has the number of employees evolved in your company over the last year? How do you expect the number of employees in your company to evolve over the next year?